The learning curve isn’t supposed to be this steep, but if there’s anything Leylah Annie Fernandez has proven this week, it’s that she’s quite the student. 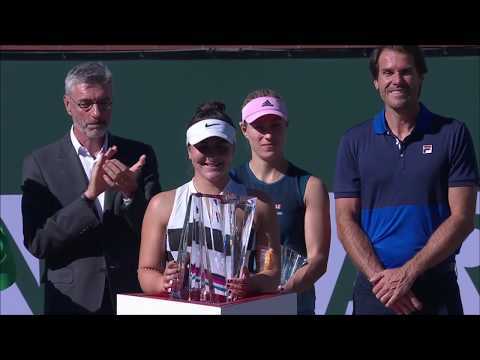 In her first-ever Grand Slam, the 15-year-old has navigated through the French Open girls’ singles draw without dropping a single set, and finds herself in the semifinals following a 6-4, 6-1 victory over Joanna Garland. The match was a nervy affair from both players, although it was Fernandez who was able to hold on to an early break advantage to close out the first set despite constant pressure on her service games. The Montrealer’s lefty game was particularly lethal on return today, as she was able to convert six of 10 break points compared to her opponent’s two of 13 conversion rate. Earlier this season, Fernandez skyrocketed up the junior rankings when she claimed the crown at the prestigious Grade A event in Porto Alegre, Brazil. Currently ranked No. 19, her semifinal will see her break into the world’s Top 10 – an impressive feat considering her short junior career so far. Up next for Fernandez is Cori Gauff, the 14-year-old prodigy from the United States. Last year, Gauff reached the final of the junior US Open, the youngest player ever to do so.